A handy destination guide with general information on Kerala’s famous travel destinations including Munnar, Periyar, Kumarakom, Kovalam and Varkala. 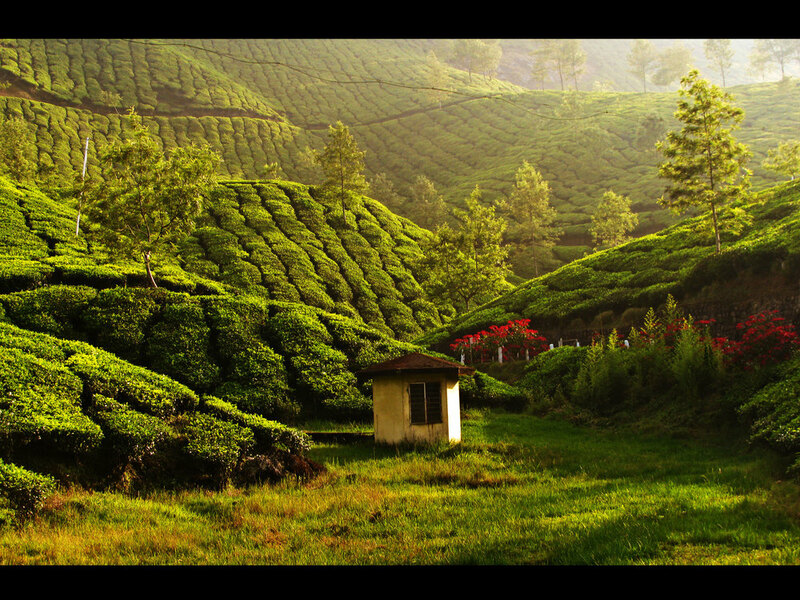 Kerala is located at the very tip of the country's southwestern borders. The state has 3 airports located at Thiruvananthapuram (the capital, aka Trivandrum), Kochi (Cochin) and Kozhikode. Almost 200 railway stations across this small state maintain rail connectivity within the state and to the rest of the country. Kerala also has an efficient inland navigation system, with boats being used quite extensively. A visit to Kerala offers everything any tourist could ask for- from scenic cruises along the calm backwaters to the amazing sunsets along its beaches. The food is excellent. And Kerala is renowned the world over for its tradition of Ayurveda- an ancient system of holistic healing with its remedies dating back thousands of years. Here's some information on the places you'll visit and things to do there. 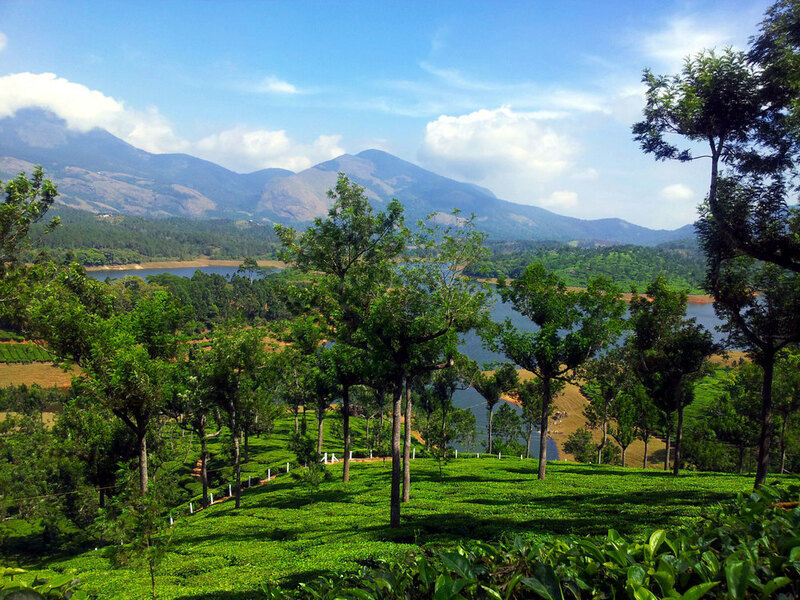 The hill station of Munnar is about 140 km from Cochin. Snuggled in waves of green hills, wrapped in mist and surrounded by undulating tea estates, the countryside of Munnar is full of charm. At over 2,000 metres above sea level, the view is fantastic, the climate is always pleasant, and the air is delicious, so feel free to get hit in the head by some low-flying clouds! Munnar also has a large number of adventure activities to offer like boating, trekking, rock-climbing, rappelling, parasailing, camping and hot-air ballooning. Send us a mail and we can help you figure out the best options if you want to include any of these in your trip. A guided tour of a tea estate is another additional option. Speaking of which, try the tea! Other things you might want to pick up here are coffee, local spices and home-made chocolates. The mountains and evergreen forests of Thekkady are integrated with the Periyar lake, and so the geography of the national park is really quite unique. It’s not the best place in India to spot tigers, but there is large variety of wildlife. You can take a boat/bamboo raft ride through the forest, or go on a nature trail on foot. If you’re up to it, you could even take a guided trek through the wilderness at night! A village consisting of small islands strewn across the 100 kilometre length of Lake Vembanad. Vembanad is Kerala’s largest lake and is the primary element of the Kerala backwaters network, with a large number of rivers flowing into it. Kumarakom is a laid-back place where agriculture and fishing are the main occupations. It also has a lovely bird sanctuary. All in all, this is a great place for peace, relaxation and a recharge of the senses. Or for a crazed boat race, if you’re around during Onam, the Kerala harvest festival. Kovalam, meaning ‘coconut grove’ is Kerala’s premier beach getaway, located close to Trivandrum. There are many choices in terms of accommodation- for those looking to get pampered silly in a luxury hotel, there are places like the Leela or the Taj Green Cove. However, these are located near the main beach front of Kovalam, and this place is most often crowded and messy. Not to worry, though. There are places just a few minutes away, further south, that are private, secluded, and would make the ideal spot for this last leg of your Kerala sojourn. The Bethsaida Hermitage with its private golden beach and traditional Ayurveda treatments is one of these. Another fantastic beach destination with a friendly, chilled-out vibe is Varkala. About 120 km south of Allepey (60 km north of Kovalam), Varkala has a clean beach backed by red cliffs coming down to meet the turquoise sea. There’s plenty of cheap accommodation up on the cliff, and a lovely place right on the beach as well– the Varkala Marine Palace. Candlelight dinner with lights from the fishing boats dancing on the water comes highly recommended.